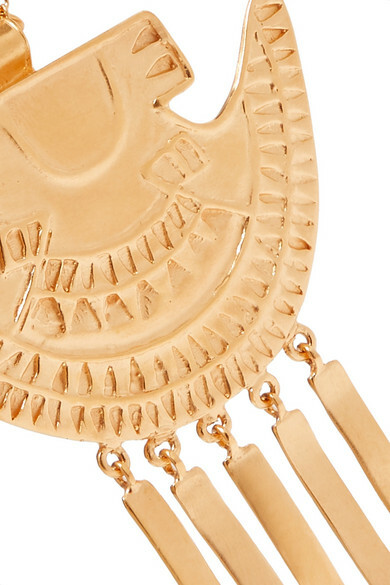 Johanna Ortiz's jewelry is inspired by her Colombian ancestors. 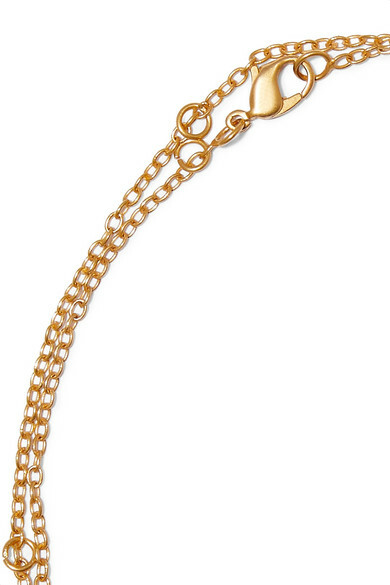 This gold-tone necklace features a sculptural pendant that's engraved and has five spokes dangling underneath it. Adjust the length of the chain to suit different necklines, or loop it around twice for a layered effect. 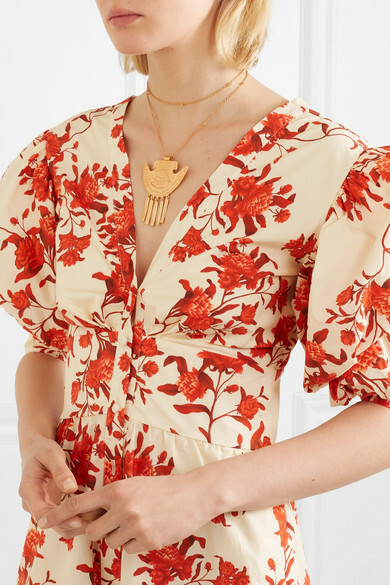 Shown here with: Johanna Ortiz Dress.